We’ll help you develop and execute a service awards program that can reduce turnover, improve employee engagement, and honor your dedicated team members. 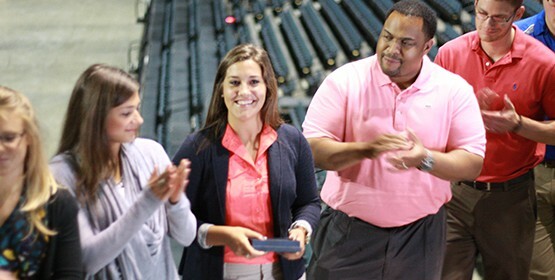 Terryberry makes it easy to give your employees profoundly personal recognition for their years of service. Outsource the administration! Online award redemption and tracking, administrative support, email notifications and more. Innovative products and features that will create a WOW moment for your recipients.